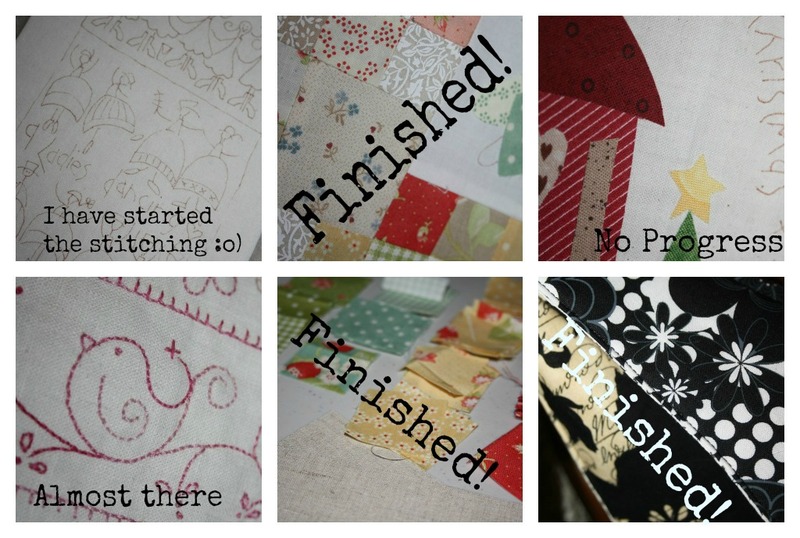 Do you remember my WIP Madness post last week? Sorry they are all "Secret Santa and Swap" sewing. I have also managed to start something else but more on that next post. Good girl! Now you can start a new project. I suppose we will have to wait for the reveals. Well done. Lovely sneaky peeks. WOW! You've already finished 3 projects! Don't you go to sleep? LOL! Just don't forget to BREATHE amongst all the busy-ness Sharon, LOL! Time for you to start some more WIP'S:)? Wow, looks like you have been sewing up a storm. Well done. Wow! You are supercharged!! Love all your sneak peeks can't wait to see them when swapping is done. That little Robin is super cute. You constantly amaze me! One question before I forget ;D...what is the name of that stablizer you use for embroidery again? I can't get it here and need to buy it from overseas!!! I just can't remember the name!! !